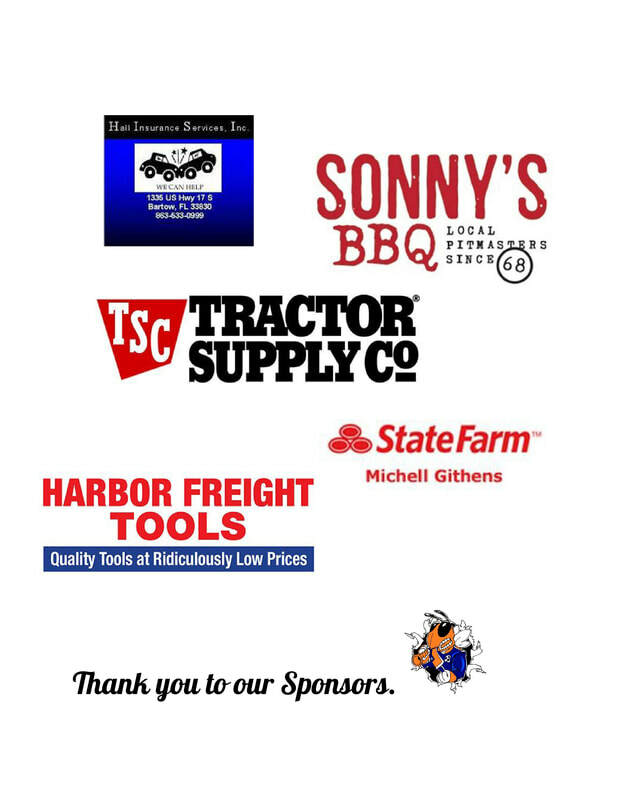 Thank you Yellow Jacket Band Sponsors! The Bartow Yellow Jacket Band – comprised of students from Bartow High School, International Baccalaureate, and Summerlin Academy – has been recognized by the Governor’s office and the Department of Education as one of the most successful band programs in the State of Florida. In 2017, the band was one of four groups selected to perform on stage at the Chicago Symphony Orchestra for the Chicago International Music Festival. We proudly represent our community in events such as Bartow parades, a Veterans Day performance, and many other special events. Bartow Band Boosters, Inc. is a registered non-profit organization whose primary purpose is to provide support for the band. We would like you or your company to become a sponsor to provide funding for the band’s transportation, instrument repairs, and other needs that arise. All contributions will be tax deductible according to 501(c)(3) guidelines. We could not compete at the level that we do without the continued support of our family, alumni, and community. Contact us to become a sponsor, BartowBandBoosters@yahoo.com. ALL Sponsors will be acknowledged on our Facebook page, our website and in all band programs throughout the year. A performance by the Yellow Jacket drumline and color guard at your business or private event. A reserved table (seats 8) at the annual band Prism Dinner Concert in January 2019. Name/Logo on our football field concession stand for the 2018-19 year. Name/Logo on the Yellow Jacket band trailer which travels all over the State of Florida. Name/Logo on the Yellow Jacket tower on the practice field across from BHS. A table (seats 8) at the annual band Prism Dinner Concert in January 2019. Name/Logo on the Yellow Jacket band trailer. Four (4) tickets to the annual band Prism Dinner Concert in January 2019. Four (4) tickets to the annual band Prism Matinee Concert in January 2019. Two (2) tickets to the annual Prism Matinee Concert in January 2019.